The House Select Committee on Benghazi grilled Hillary Clinton for hours that went into the double digits on what transpired the night of Sept. 11, 2012 in Benghazi, Libya. The hearing has taken some surprising turns, like when some committee members entered into a verbal scuffle while Clinton looked on. 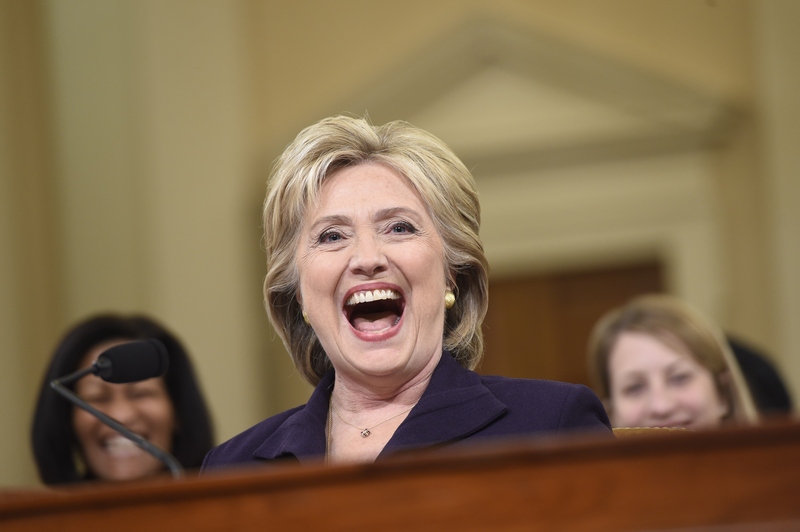 And then there was the line of questioning that had Clinton not only fully engaged, but laughing out loud. The funniest Benghazi hearing moment came about when Alabama Rep. Martha Roby asked Clinton where she was on the night in question. According to both Clinton and Roby, the former secretary of state had gone home for the evening, and stayed there as events transpired in Libya. For that reason, Roby asked Clinton if she had in her home a SCIF, or Sensitive Compartmented Information Facility, so as to protect any classified information from leaking. Clinton responded that she did. Roby followed that up with a question about whether Clinton was home alone, to which Clinton responded affirmatively. But then Roby asked if she stayed alone the whole night. It was at this point that Clinton began laughing, because no matter the context, asking the secretary of state if anyone came over to her place late at night is pretty hilarious. "A little note of levity at 7:15," Clinton pointed out. The lengthy hearing has brought about some surprising moments that have ultimately helped Clinton, despite prominent Republicans indicating that the ongoing investigation was meant to bring down the Democratic presidential hopeful, rather than effectively lay to rest whether she or any other personnel were at fault for a tragedy that killed four Americans. There even came a point where Clinton asked the committee itself how their line of questioning was relevant to the task at hand — specifically regarding an email exchange between Clinton and confidant Sidney Blumenthal. I've tried to answer your questions. I cannot do more than that. The answers have changed not at all as I appeared two years ago before the House and Senate. And I recognize that there are many currents at work in this committee but I can only hope that the statesmanship overcomes the partisanship. Moments of levity have been few and far between, but Clinton has handled herself in a level-headed manner, regardless.